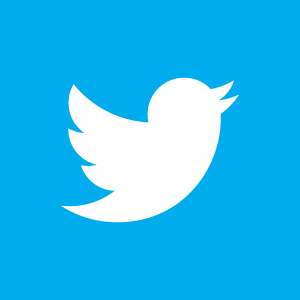 Please take our super short survey. It helps us find advertisers to fit our listener’s desires. How to watch live on BBC, CBC or NBC (details here). Is Mark Williams the Marta Karoyli we’ve been waiting for? Do we think it’s wise for Chris Brooks to do the all-around? Our highlights from training, including lots of overhead hot mic moments. It’s official. Laurie Hernandez went pro. Stretovich replaced Ignatyev on the Russian men’s team and it may have been a clear IOC rules violation, but it’s really the least of Russia’s problems. Will Aly be doing all-around tomorrow? Jessica says no. CONTEST: A winner every other podcast in August! What: The Bronze Movie Watch Party Kits (gym bag with goodies and the movie), The End of the Perfect 10 book, a U.S. Olympic Trials T-shirt or GRAND PRIZE*: A Bronze Movie gym bag filled with real props used in the film and a one-of-a-kind Aliya Mustafa handmade cross-stitch by Spanny Tampson. 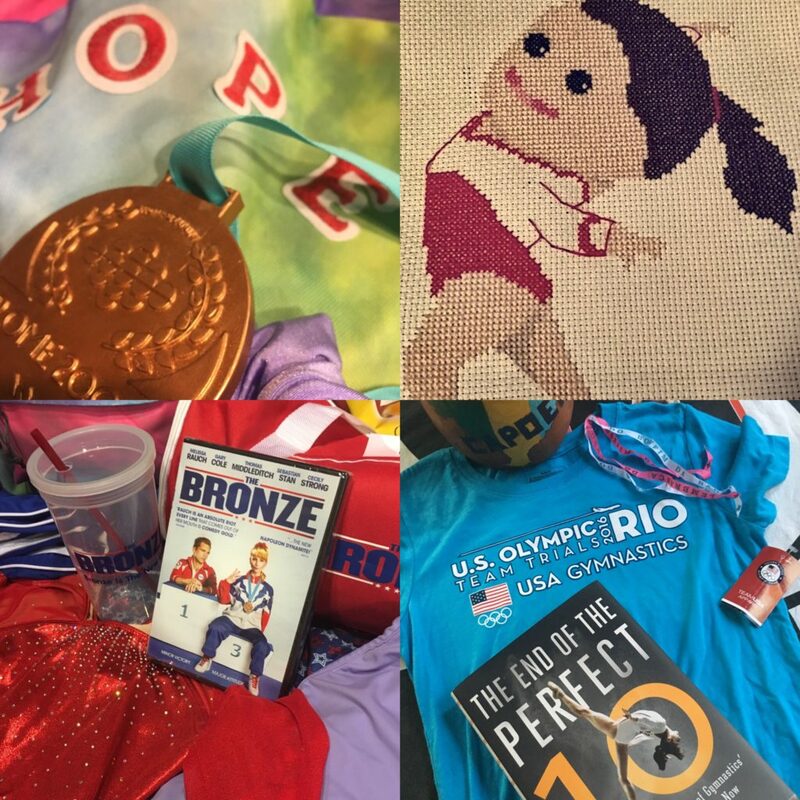 How: Tweet, Instagram, Voicemail or Tumblr tag us and use the hashtag #BronzeContest to tell us which retired gymnast you would want to coach you, The Bronze style, to Olympic glory and why? Winners Announced: on every other podcast for the entire month of August! Starting with the women’s podium training podcast. 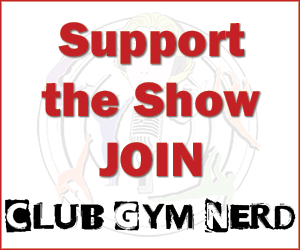 Buy one of our awesome gym nerdy gifts and goodies here. 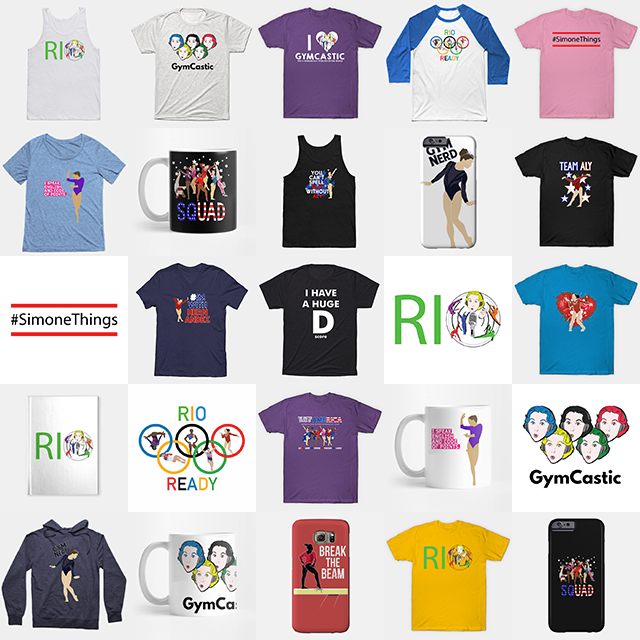 Thanks for giving us so much content during the Olympics! I don’t know how you have time to do your regular jobs haha. Sam Mikulak already plays Pokemon Go. See the team\’s Facebook Live Q&A from NBC Olympics yesterday.